Please help us getting the licence for upcoming cDrama “ICE FANTASY DESTINY” airing MARCH 8. Yes, please, please >< If you can, please. I would love to see Ice Fantasy Destiny. Done. Waiting patiently This looks really good! oh my! will this be a sequal or another story all the way around? yes I loved the ice fantacy. ok this is a scifi buff here, the white hair & blue eyes? alien descent?? maybe?? but still cool!! I can not wait to watch the continuation of Ice Fantasy with everyone who likes, my friends are waiting! Do not forget, please! After watching this on Netflix, I am hooked. What do I do to send the request? Yes! Please make this happen! A lot of people are waiting for season 2! So many people enjoyed season 1! The effort and zest are appreciated by every Cdrama lover. But, as far as I know, nth time will not compute. Viki only takes one submission per each Viki ID per each IP address. I said becoz viki will know that we are very sincere for this drama. i loved Season 1, so splease let Season 2 come.. Yes please I have watched Ice Fantasy on Netflix I love it can't wait to see the prophesy through to the end with all the twist an turns I do hope they all return to the Ice Blade city where they all belong kind of makes sense now after their grandmothers cry of a new world I didnt know there was a 2nd season till now yay! 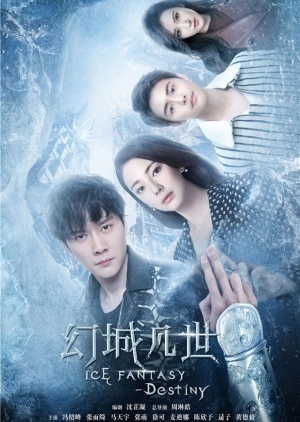 Please for the love of humanity please put this on viki i would love to watch this i watch ice fantasy and i wanted to keep watching more so please add this show on PLEASE!!!! !